Thank you, Zulka® Pure Cane Sugar, for sponsoring this post and sharing your amazing sugars with us! All content and opinions are that of Sugar & Soul. 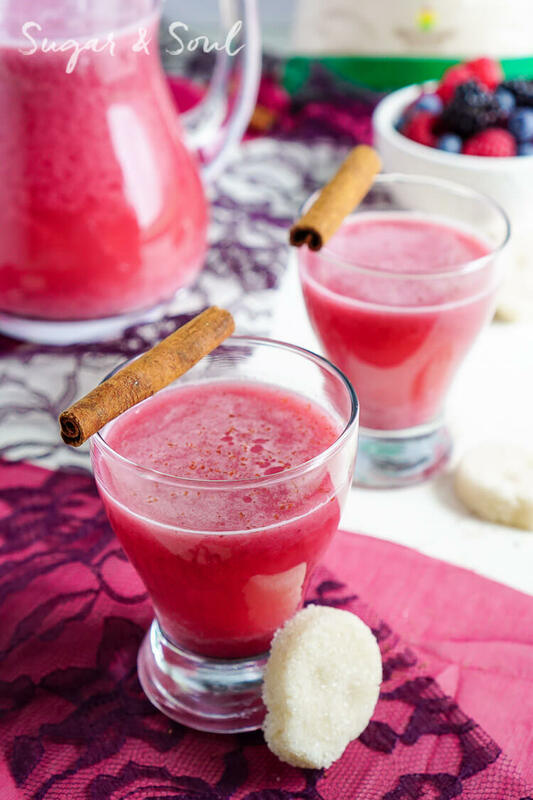 This Berry Horchata is a fun twist on the classic Mexican drink! Fresh berries, rice, cinnamon, and sugar skull sugar cubes make this a great addition to your Día de los Muertos celebrations! It’s hard to believe we’re already halfway through October! The leaves have pretty much completed their change here in Maine and will begin to fall shortly. And the end of the month kicks off a season full of celebrations, including one that is often overlooked here in the Northeast, but is such a cool holiday I couldn’t help but put a few things together for it, Día de los Muertos. Día de los Muertos, also known as the Day of the Dead, is a holiday of Spanish and Mexican origins that is observed on November 1st and 2nd to celebrate death and the deceased. The holiday covers two days so that they may welcome the souls of the children on the first (the day of the innocents) and those of the adults on the second. Generations ago, this Aztec celebration took place over a month but when the Spanish came the holiday became intertwined with All Saints Day and All Souls Day. Now that the history lesson is over, let’s get to the fun stuff! Along with the celebrations comes great food, traditional eats and drinks of Mexico and the holiday. 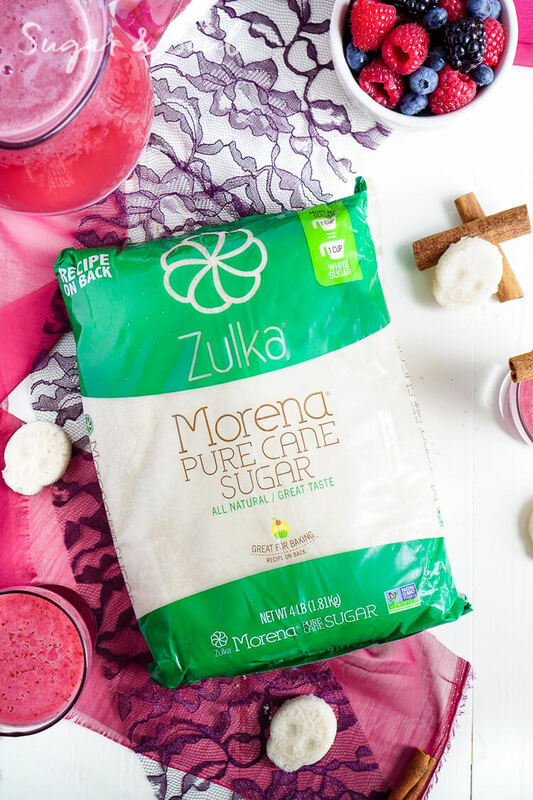 Zulka® Pure Cane Sugar offers unrefined Non-GMO Project Verified products that are freshly-harvested sugar cane that is a cup-for-cup substitute for granulated sugar. It’s Mexican roots in a family-owned sugar mill make it the perfect choice for all of your sweet treat and drink needs for the holiday. Speaking of drinks, that’s just how we’re kicking things off! 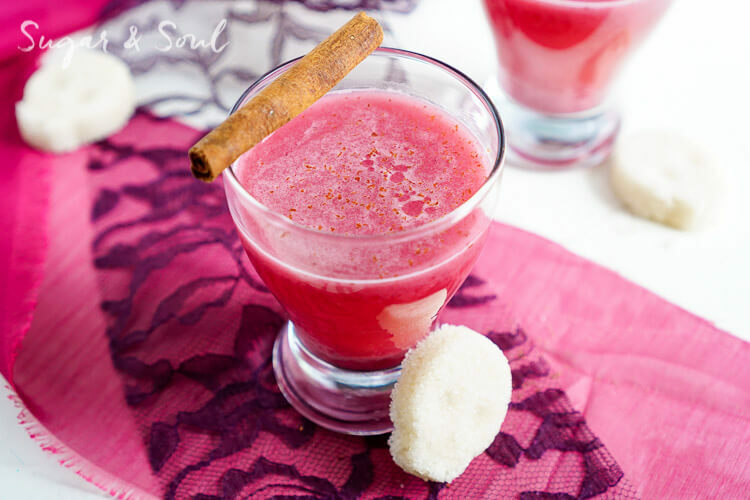 Horchata is a traditional Mexican drink made from rice and cinnamon, but today we’re making it with a bit of a non-traditional twist. We’re adding juicy ripe berries for even more flavor and gorgeous color! 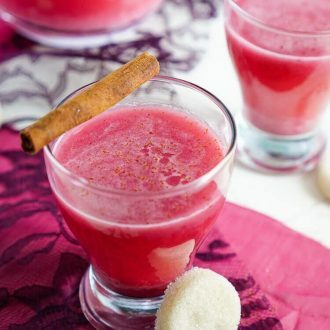 The vibrant berries muddle beautifully with the soft flavors from the rice and the spice from the cinnamon. Add a sugar skull sugar cube to each drink for the perfect finish! 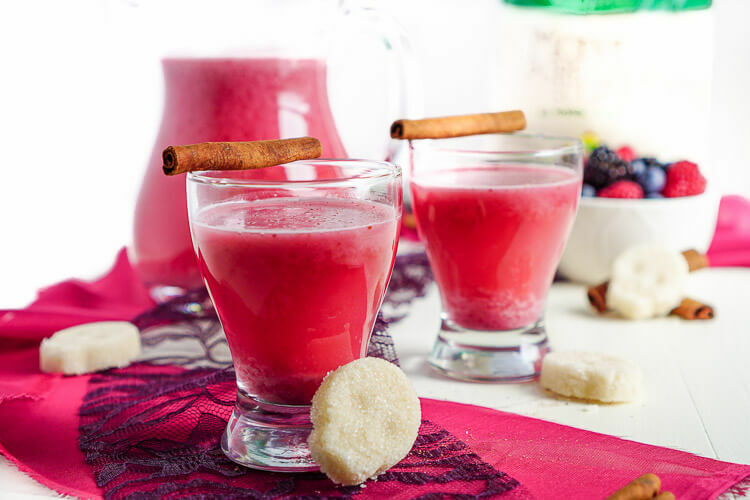 This Berry Horchata is a fun twist on the classic Mexican drink! Fresh berries, rice, cinnamon, and sugar skull sugar cubes make this a great addition to your Día de Muertos celebrations! Combine sugar and water in a small bowl and press into Sugar Skull molds, let set overnight to take shape. Add rice, cinnamon stick, and 4 cups water to a blender and pulse until a coarse mix forms. Transfer to a large bowl and add remaining water, let soak for 3 hours. 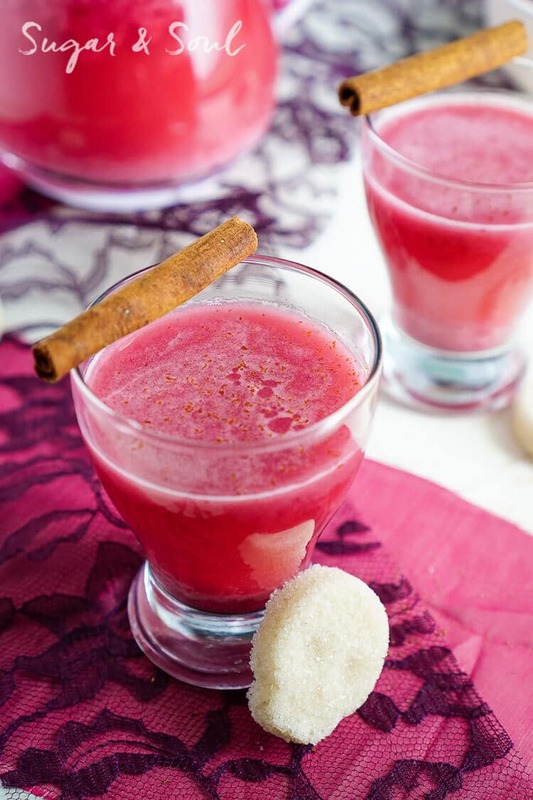 Add back into blender in two batches, adding a cup of berries to each, blending until a smooth fine puree forms. Strain mixture through a cheesecloth into a large pitcher. Stir in sugar and place in the fridge to chill before serving. Garnish with Cinnamon and Cinnamon Stick and a Sugar Skull Sugar Cubes for serving. Follow Zulka® Pure Cane Sugar on Facebook, Pinterest, Twitter, and Instagram for more great recipe inspiration! I’ve never had horchata but I’ve always wanted to try it! This berry version sounds fantastic! This looks crazy good! So pretty too. I love the flavor combination and those sugar skulls are awesome! I love horchata and made some for a taco dinner and no one drank it except for me. SIGH. Cheers from kid can doodle! I just hear about horchata. But it look delicious. I pinned at the Pinterest board. Thank you for your participation at Tasty Tuesday Creative K Kids.